Road Plates - Badger Daylighting™ - Shoring and Trenching Products serving Edmonton, Alberta & Western Canada. Badger inventories steel road plates to be used over excavations to allow uninterrupted flow of traffic. 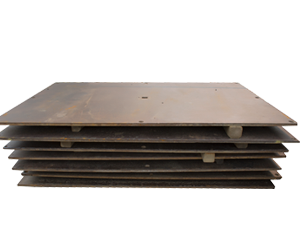 Our road plates feature easy, stable handling with no projection above the plates surface. 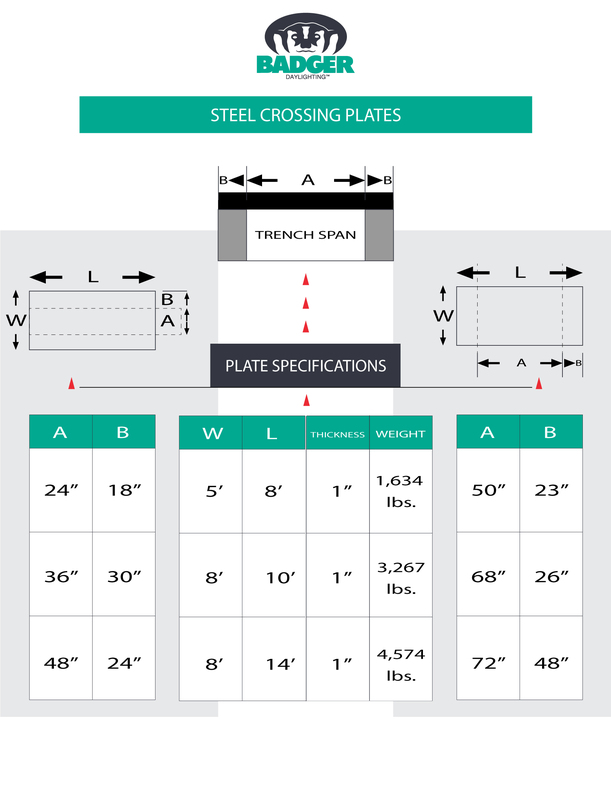 Our inventory of Steel Road Plates are specifically engineered for contractors to efficiently deploy in street crossings, over trench excavations and provide a straight-forward solution for temporary access situations.